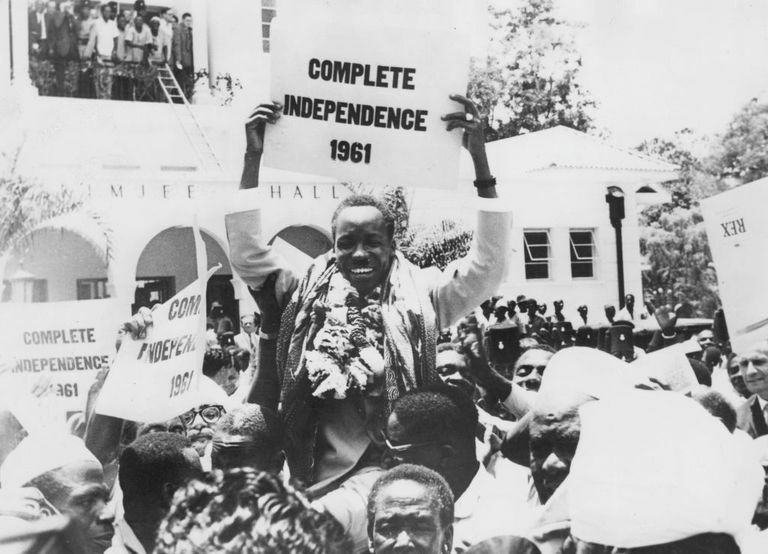 Julius Kambarage Nyerere was a well-known politician and activist who served as the president of Tanzania from 1964 to 1985. Though a controversial individual, his efforts as a politician resulted in his status of being the "Father of the Nation." He died at the age of 77 in 1999. "In Tanganyika we believe that only evil, Godless men would make the color of a man's skin the criteria for granting him civil rights." "The African is not 'Communistic' in his thinking; he is, if I may coin an expression, 'communitary'." "Having come into contact with a civilization which has over-emphasized the freedom of the individual, we are in fact faced with one of the big problems of Africa in the modern world. Our problem is just this: how to get the benefits of European society, benefits that have been brought about by an organization based upon the individual, and yet retain African's own structure of society in which the individual is a member of a kind of fellowship." "We, in Africa, have no more need of being 'converted' to socialism than we have of being 'taught' democracy. Both are rooted in our past, in the traditional society which produced us." "No nation has the right to make decisions for another nation; no people for another people." "In Tanzania, it was more than one hundred tribal units which lost their freedom; it was one nation that regained it." "If a door is shut, attempts should be made to open it; if it is ajar, it should be pushed until it is wide open. In neither case should the door be blown up at the expense of those inside." "You don't have to be a Communist to see that China has a lot to teach us in development. The fact that they have a different political system than ours has nothing to do with it." "[A] man is developing himself when he grows, or earns, enough to provide decent conditions for himself and his family; he is not being developed if someone gives him these things." "...intellectuals have a special contribution to make to the development of our nation, and to Africa. And I am asking that their knowledge, and the greater understanding that they should possess, should be used for the benefit of the society of which we are all members." "If real development is to take place, the people have to be involved." "We can try to cut ourselves from our fellows on the basis of the education we have had; we can try to carve our for ourselves an unfair share of the wealth of the society. But the cost to us, as well as to our fellow citizens, will be very high. It will be high not only in terms of satisfactions forgone, but also in terms of our own security and well-being." "To measure a country's wealth by its gross national product is to measure things, not satisfactions." "Capitalism is very dynamic. It is a fighting system. Each capitalist enterprise survives by successfully fighting other capitalist enterprises." "Capitalism means that the masses will work, and a few people, who may not labor at all, will benefit from that work. The few will sit down to a banquet, and the masses will eat whatever is left over." "We spoke and acted as if, given the opportunity for self-government, we would quickly create utopias. Instead injustice, even tyranny, is rampant." What Are Some Good Birthday Card Inscriptions?